To learn more about a particular type of throat cancer, choose a category below. An overview of the basics of throat cancer. This section discusses hypopharyngeal cancer (lower throat), cervical esophageal cancer (top part of the esophagus) and laryngeal cancer (voice box) in greater detail. 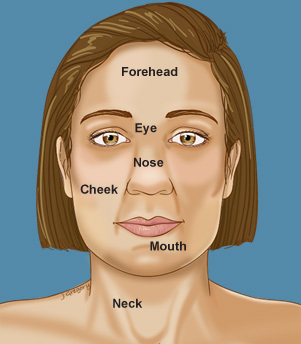 This article covers nasopharyngeal cancers (part of throat located behind the nose) in detail. This section discusses soft palate cancer (roof of the mouth), tongue base cancer (back of tongue) and tonsil cancer in greater detail.